I really am liking this so far. I’m so happy to be having more fruits and vegetables. Especially in new ways! I wasn’t doing good eating enough vegetables because I was really getting tired of my standard fare of a normal lettuce salad. It’s nice to be discovering new ways of having vegetables. Soak raisins and chopped dates in distilled water over night. Drain and save soaking water. Slice or dice apple, pear, and 1/2 ripe banana. 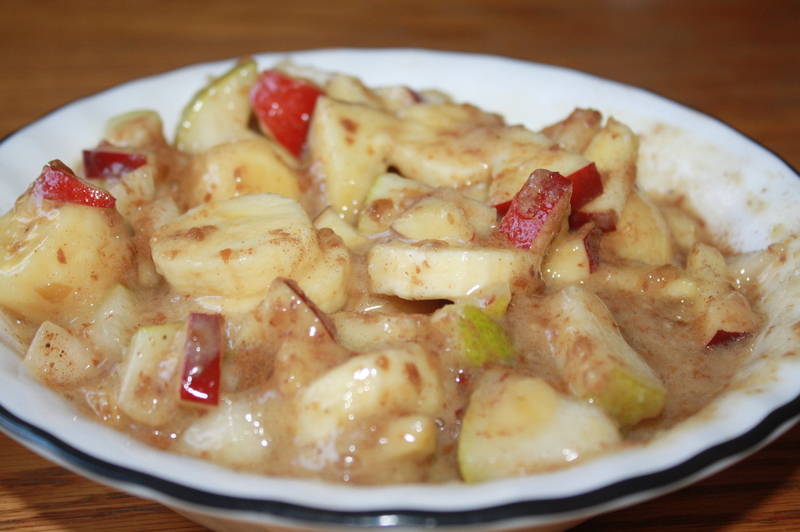 Make the following sauce to pour over fruit: In food processor or blender, place peeled 1 1/2 banana raisins and dates with as much of the soaking water as required to blend to a creamy consistency. Add a pinch of nutmeg and cinnamon. 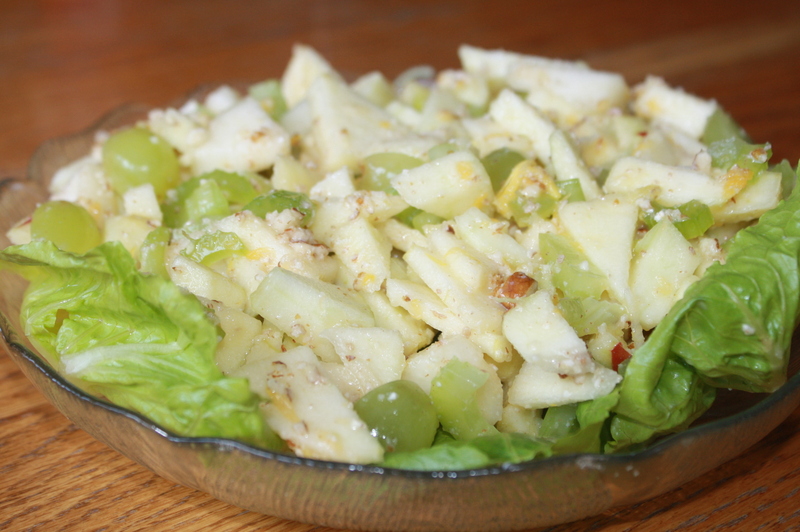 Apple Salad pg. 146 Very yummy! My dad tried this salad and really liked it. He kept saying how different the combination was but yet how much he really liked it and that we should take it to picnics and potlucks. The ingredients are: celery, pear, grapes,juice of a lemon, appples, pecans, and juice of an orange.